Now THIS is mind blowing !!! I hope it catches fire and app developers build apps to take full advantage of it. 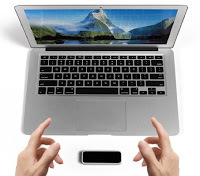 3D gesture control could be better than a touch screen. And it claims to be better than motion control on gaming consoles like Microsoft Xbox Kinect and Sony PlayStation Move - and it's cheaper too. We've already some tech better than Star Trek. We've got tablets that are better than Star Trek tablets - look at the low quality (the fragile crappy sound they make when they put them on a table) and odd design of the tablets in any Star Trek series. And the lack of WiFi like connectivity in the Star Trek series that are placed in earlier centuries, where they use hardwired terminals and data storage modules to transfer data. 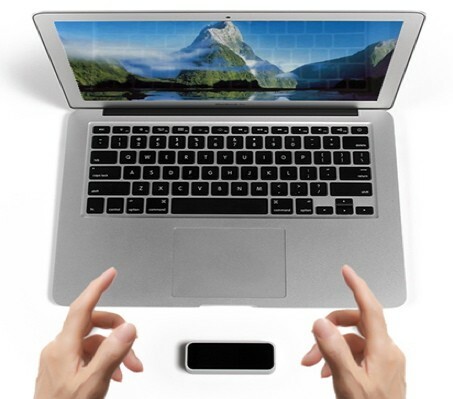 And we've got touch screens that support gestures - no gesture support in Star Trek tech. And our voice recognition tech is getting there. Just a reminder to us all, that future tech is coming to us wicked fast, and at least some of the 21st century predictions are coming true. And coming NOW.